Skoda suffered many reputation misfires throughout the 70s and 80s thanks to poor management of the company after the Communist takeover of Czechoslovakia in the wake of World War II. 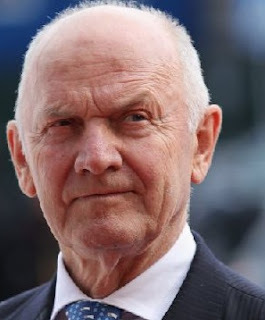 However by 1992 an Austrian with an eye for an opportunity, Dr. Ferdinand Piech, agreed VWAG would take a majority share in the 120-year-old company. Following 1991’s ‘Velvet Revolution’ inspired and led by Vaclav Havel, Skoda, the Czech Republic’s industrial jewel in the crown, blossomed. Since then Skoda has moved from being a ‘cheaper’ version of a VW to a prime example of technology transfer leading to rapid product improvement, and rapid sales growth. The year prior to Volkswagen’s takeover, Skoda produced just 172, 000 cars. 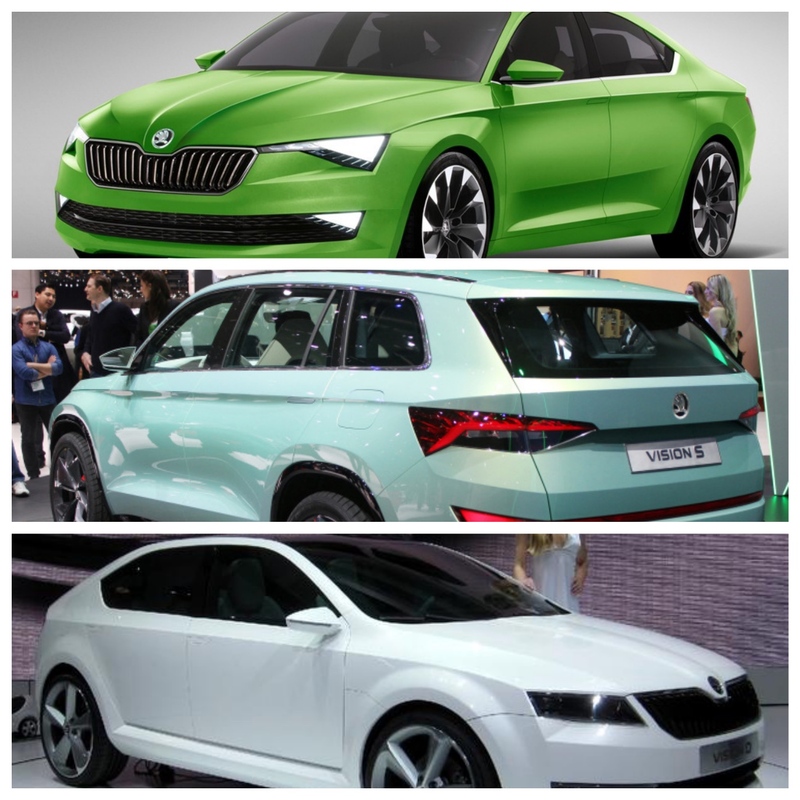 Last year, Skoda produced 1, 037, 000. The mainstay of the range is the Octavia hatch. The original VW-inspired model was designed by Belgian Dirk van Braekel, who was personally appointed Skoda’s Chief Designer by Ferdinand Piech. Dirk later went on to inspire the design of the Bentley Continental GT. Today, the Octavia, although based loosely on the VW Golf platform, is the biggest selling model in the Skoda lineup. Today’s Octavia, built on the new modular MQB platform, is one of the roomiest cars in the Volkswagen stable. When you first view the car it’s almost impossible to believe it uses Golf underpinnings – but that’s the genius of the MQB architecture – developed by my good friend Ing. Dr. Ulrich Hackenberg. MQB can be utilized in any flexible way the designer decides. It’s a bit like an ‘arrangement’ of modules (or boxes). Octavia's most impressive features are its huge trunk, and a very roomy interior. Rear seat legroom has to be seen to be believed. In the UK, Octavia is 14% of Skoda sales, with healthy volumes for the Yeti SUV, Skoda Rapid, Fabia small car and AWD Octavia Scout. There is no doubt Skoda is hitting a button in terms of value, in the UK and wider European markets. However, to see blanket coverage of a market you need to travel to the Czech Republic. Skodas completely dominate the home market, which should be no surprise. In the former Czechoslovakia, well prior to VWAG’s involvement Skoda had enjoyed a reputation for value, with many automotive engineers praising the engineering integrity of its 1.3L engine, which pretty much powered every car in its range. It was an example of precision design and manufacture, and was extremely robust. However while the engine was impressive, under Communist control the assembly quality of the cars, and thus the reliability suffered badly. The company was started in 1895 when Laurin & Clement manufactured bicycles; in 1899 they produced their first motorcycles, but by 1905 they introduced their first car, the Type A. Following World War I they began producing trucks, but ran into financial difficulties, so in 1925 the company was taken over by Skoda Works, which was by then a huge manufacturer of armaments and the largest industrial company in the kingdom of Bohemia (now Czech Republic). In 1933 Skoda launched a new range of cars, gradually refining the designs along the lines of its competitor, Tatra. However, by 1936 Skoda had overtaken Praga and Tatra to become the market leader. During WW2, the Skoda Auto factories, which had been producing armaments and war equipment under the control of Hermann Goering, were completely flattened. By 1945, the entire factory was rebuilt, but by then the Russians were control. Skoda Auto produced a couple of interesting models in the post-War years, but as many owners found out, the build quality and reliability was totally woeful. 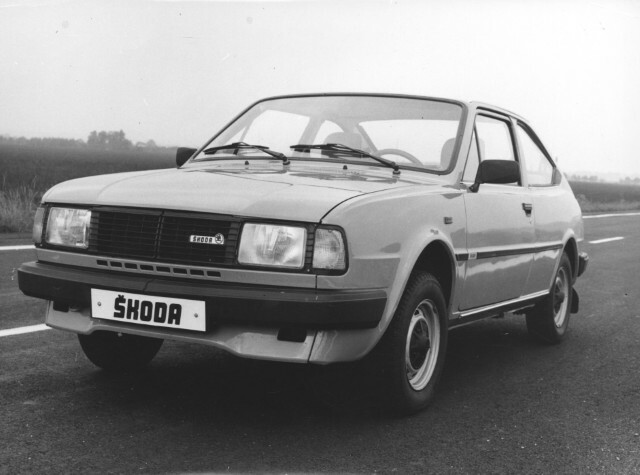 A bright spot occurred in the mid-1970s when Skoda participated in the RAC Rally and other major rallies with the 130 RS. The rally cars were very reliable, and competitive enough to win their class in the RAC Rally for 17 years running. Keep in mind those cars were completely rebuilt by a dedicated competitions operation. 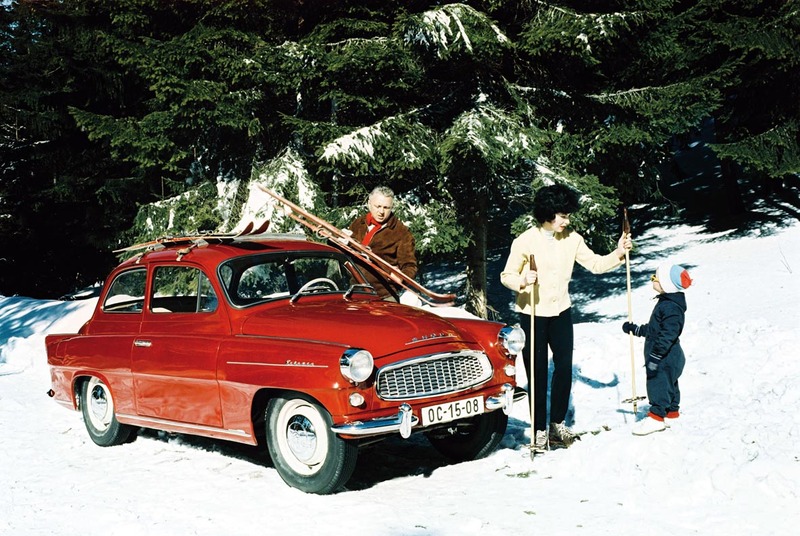 Despite their poor reputation between 1945 and 1991, Skoda cars are credited with being one of the oldest established marques in Europe, alongside Mercedes-Benz, Opel and Peugeot. 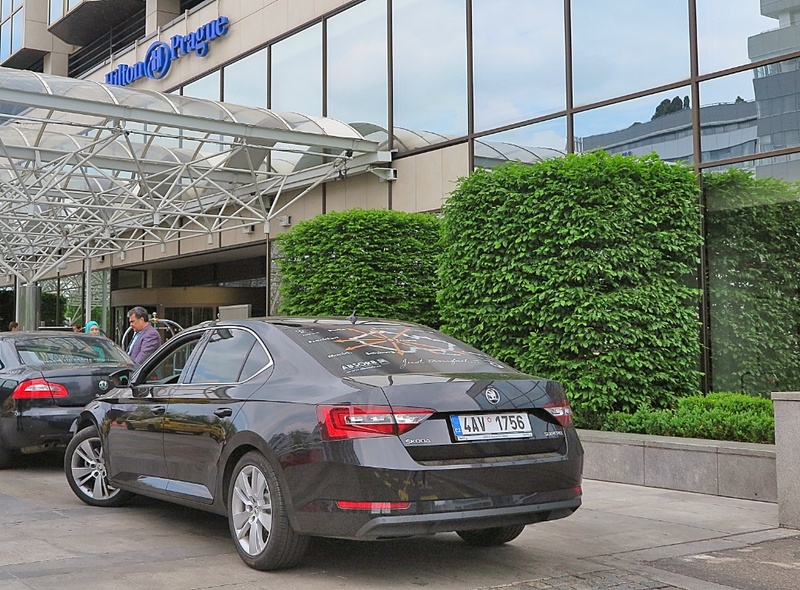 In Prague, despite the popularity of the Octavia for private use, the most visible car in the city is the Superb sedan. It is widely used both as airport limos, and taxis. Once again the MQB system has endowed the Superb with a relatively vast rear compartment and a huge trunk. Easy to see why it’s the first choice for airport limos. Inside the Skoda range it’s easy to spot the functional equipment which comes from VW’s parts bin, but the material quality and the fit and finish is superb, as is the functionality of the components. The SatNav system is really easy to use, as is the Bluetooth function for mobile phones and entertainment. 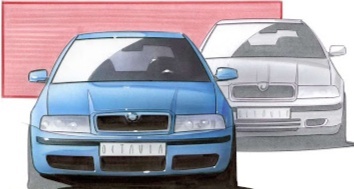 On the road, the Octavia proved slightly less agile than its Golf counterpart. The handling could not be described as sporty, rather, ponderous and predictable. My test car ran 225x17 tyres, on 17in. alloy wheels, giving a firm but compliant ride rather than sporty behavior. The one single downside in my opinion is the combination of the test car’s six-speed manual and the now ubiquitous Stop-Start system. In this example it was a pain in the bum. The very next act after starting the car, was to immediately turn the Stop-Start system off. It’s no worse than any other car which offers this system, but during my time in Britain in the Octavia it was a constant irritant. Fuel economy for the 2.0 L TDi was another outstanding feature. 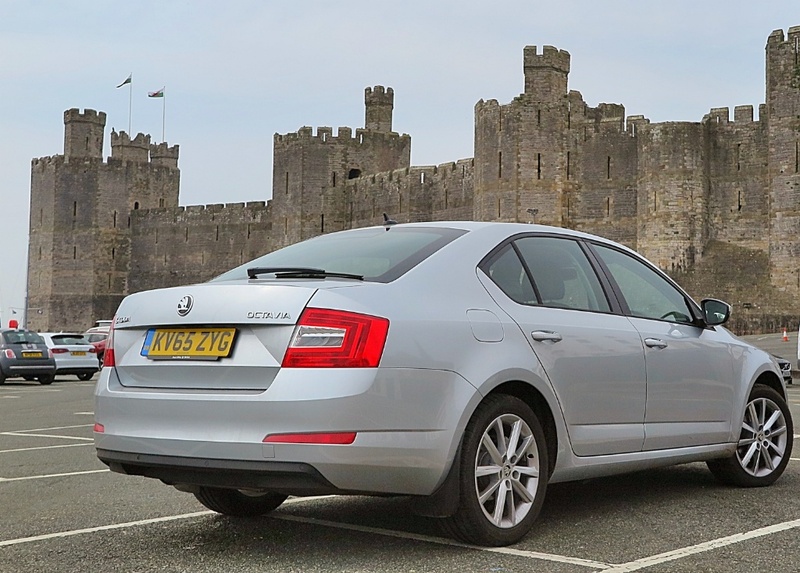 Over 750 miles (1200 km) of incredibly varied driving conditions, the Octavia returned 5.4L/100km. We cruised motorways at the maximum possible speed, scooted down narrow country lanes, climbed through the Welsh mountains, and crept interminably forward through the many traffic jams in some of Britain’s smallest villages. As an 'enthusiast driver', the Octavia is not a car I would choose. But, as a sensible, practical and reliable family car it’s superb. Buy it when the kids are babies and I suggest you’ll probably still be enjoying it when they’re teenagers. As for Skoda division, I think this VW subsidiary is just going to grow from strength to strength. Some of the recent concept cars shown in Geneva – the Vision C, the Vision D, and the Vision S promise that edgy future exterior designs will be very appealing, and all the VW kit under the skin will work well in a practical sense. If you think Toyotas are boring, then buy a Skoda. You’ll stand out for choosing something different, you'll get practicality, reliability, great design and your wallet won’t be any lighter. 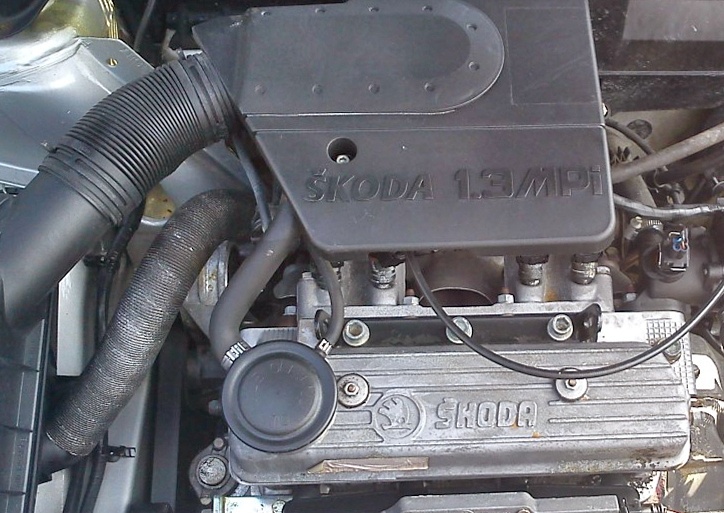 Get this free car manuals Skoda and solve your car maintenance from right now. There are other services available in that webpage. They are cost effective and efficient also. Thanks for this posts. It looks very informative to me. I am using this brand for many years, its service is so awesome! 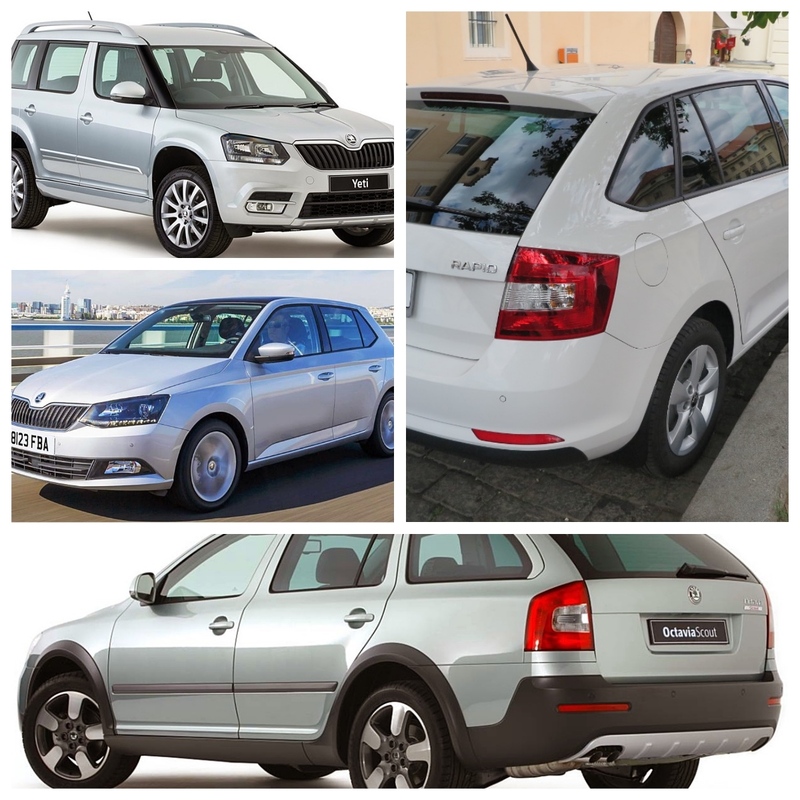 I was in need of some improvement, so I took help from car manuals Skoda ,they are very caring and most importantly, they work in very reasonable price. They made my every single journey through this car so easy and comfortable. A big thanks to them. Wao this is so awesome style.You know I love driving and want best paint protection near me at cost effective rates.So let me know if you know any reliable services.